Gotta keep that great train rollin' along the tracks! Zach a mouse? Or Zack a kiss? Otaku X wrote: Zach a mouse? Or Zack a kiss? It's a pun on Pikachu's Vacation, the short which accompanied Pokémon: The First Movie. Isn't that great? Nintendo Network ID: Can I use it on two 3DS consoles? That'd be great! You know what's great? The halflings of Granrelm! Meanwhile, in the 1980s...a young man plays a brand-new game called Super Mario Bros.
Young Man: Jump! Come on, jump! YES! Top of the flagpole! Young Man: Oh, just playing my new video game. Friend: Cool...hey, I've never seen that system before! Young Man: It's called the NES. Young Man: It's not just good, it's the best I've played yet! Friend: Can I play too? Young Man: Sure, grab an extra controller! Friend: So what's my character's name? Young Man: That's Luigi, Mario's little brother. Friend: I like Luigi. He's my new favourite game character. Young Man: Y'know, I was having fun before, but playing with you makes it more fun. Friend: Yep. This NES is truly a great NES. Young Man: I agree. It is a great NES! Nintendo: bringing the great NES...uh, greatness...since 1885! Uh...my signature doesn't mention Pokémon X and Y...? I know, this trip is going to be great! Oh you're going on a trip for holiday? GamerZackX wrote: Meanwhile, in the 1980s...a young man plays a brand-new game called Super Mario Bros. Uh don't you mean 1985? Wait a minute...there's a Wii game called Zenoxan Chronicles?! Otaku X wrote: Oh you're going on a trip for holiday? In Australia we use the word "holiday" in the same way an American uses the word "vacation". So a holiday is a special occasion such as Christmas, but holiday is also the word we use for a vacation. Rukiafan wrote: Uh don't you mean 1985? No, I meant 1885. Nintendo's first console ran on steam! Well, not really. 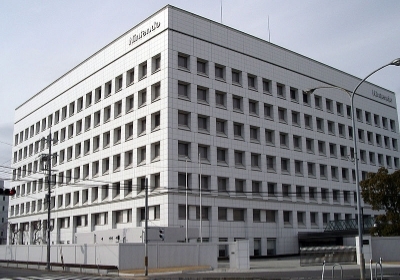 Back then Nintendo manufactured a product known as Hanafuda, or "flower cards". You can think of Hanafuda as the Japanese version of a standard deck of cards. And Rukia is still changing outfits faster than that AGT contestant! You will find that special someone. So what is Clannad about? Also means less then four weeks till NNID for 3DS! Perhaps we should share NNID's? I don't want to publicly share so send me a private message if you want to be friends on the Wii U.
Otaku X wrote: Also means less then four weeks till NNID for 3DS! It'd be disappointing if Nintendo didn't stop to consider those people who own multiple 3DS consoles, especially since you can register up to two 3DS consoles to a single Club Nintendo account, as well as link up to eight 3DS consoles to a single Club Nintendo account. It's great! You can do so much more than what you find in a console, handheld or PC RPG. When it comes to building your setting, the only true limit is your imagination. I've begun writing up the guide for Wyrmaria, and it's great! Virtually everybody has ties to a dragon bloodline, which can result in some pretty wild effects. Think a dwarf with fiery breath, or a gnome with jet-black hair and wings. The halflings of Junihoshi call themselves the Greatkin. Some people like grape soda. The Known Realm is a continent in a little-explored world. The landmass is divided into seven regions: the four lands of humanity, each marked by a grand capita; the mountainous land of the dwarves in the frozen north; the forested land of the elves where few outsiders have ever tread; and the verdant halfling land where all travellers are welcome. Other far-flung corners of the world do exist, but their presence is only known due to the odd individual who ends up in The Known Realm. These other lands include an Asian-inspired realm where the traditions of the martial arts originate; an overgrown wilderness where nature is king; a gloomy land which seems to appear from nowhere in the shadow of night; a lush paradise of magic and whimsy said to be inhabited by faeries; a harsh desert where civilisation collects around grand bodies of water; and a golden utopia in which the Astral Beings are said to walk the land. My turn: what is pocky?